Sewell's Marina, Horseshoe Bay, West Vancouver, BC, Canada. 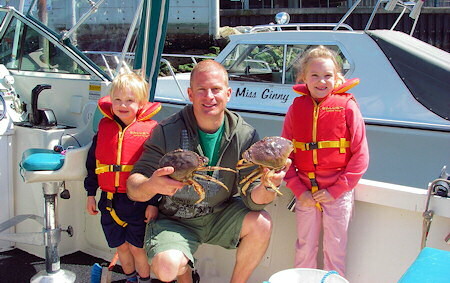 Sea Safari Eco-Tours, Salmon Fishing, Boat Rentals & Charters, Marina & Moorage. 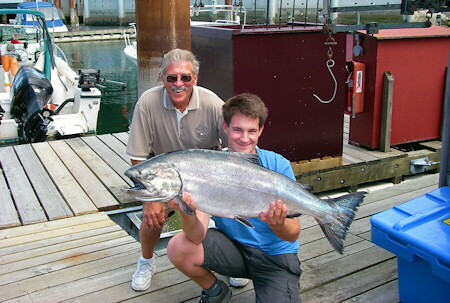 or do some deep-sea Salmon Fishing with or without one of our experienced salmon fishing guides. 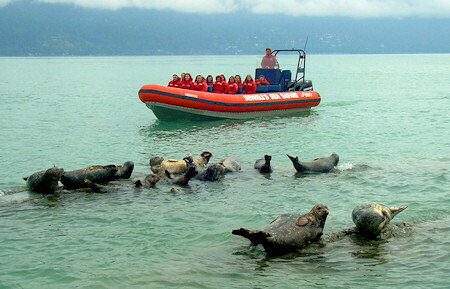 With an experienced guide at the helm, you won't miss a thing on your Guided Group Nature Tour. 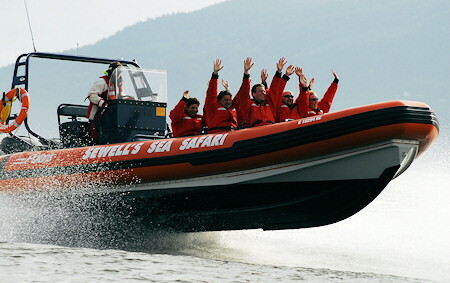 Our Howe Sound safari takes you on a 2 hour eco-tour adventure to the spectacular scenery and wildlife which make the West Coast of British Columbia world famous! Salmon Fishing from Horseshoe Bay is excellent! 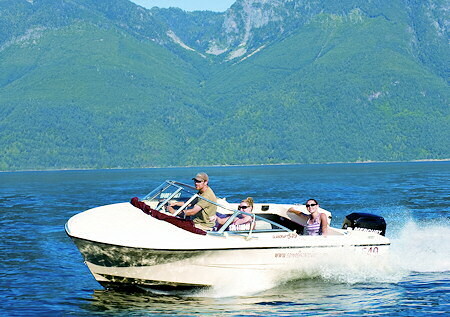 On average charters from Sewell's Marina means 15 to 20 minutes running time to the fishing grounds. Horseshoe Bay is uniquely located in the center of most of the prime BC salmon fishing spots. With an experienced fishing guide and all the specialized gear on hand your guide will help you land the big one and add a fishing story to the book. Guided salmon fishing is available year round, with 5 species of salmon frequenting the waters it is almost always a good time to go fishing.
. Set your own course and experience Vancouver from a whole new point of view. It's easy, it's safe and it's a boat-load of fun. It's like a car rally except you use Boats! 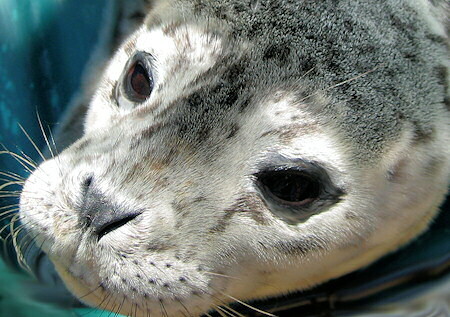 Sewell's ocean playground is 12 square miles. Think of a safe, unique adventure that everyone can participate in. 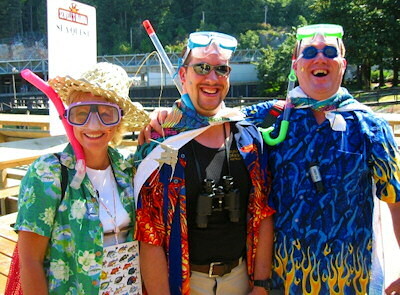 Add in a positive environment, some team spirit and an appreciation for nature and you have the Sea Quest - the only Team Building event of it's kind in Canada! It's a great equalizer where everyone can enjoy the great outdoors and leave the office behind. This is a great event for family reunions, birthday parties, pre-wedding activities, corporate incentives or any other group that is looking for a challenge. Sewell's Marina offers a fully equipped bait and tackle shop, launching ramp and fuel dock. Sewell's Marina at Horseshoe Bay is one of the premier moorage locations in the lower mainland of British Columbia, Canada. The best boating, salmon fishing, sailing, marine parks, quiet bays and island retreats are just minutes from your protected berth in our marina. Join us on the "deck of the bay" and enjoy the ocean view, the majestic mountains, some great conversation. If you want to feel freedom, wind in the hair and spray in the face, or the thrill of a fishing rod; we can help you get to your next dream!